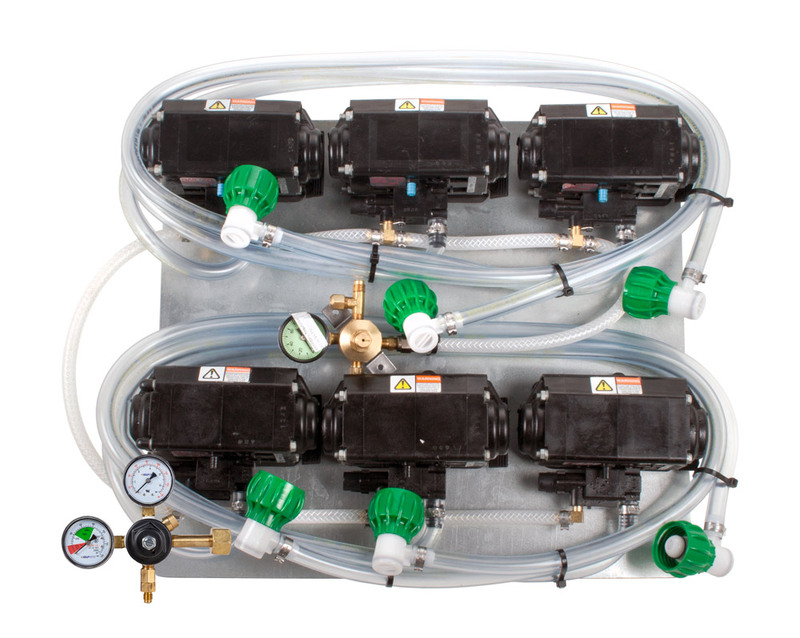 Six (6) Flojet T5000 series pumps with BIB hose, BIB connects, primary and secondary regulators mounted on pump panel. Comes with all necessary fittings. Bag-in-box (BIB) hose and connectors are included. Your choice of BIB connector types—mix and match!